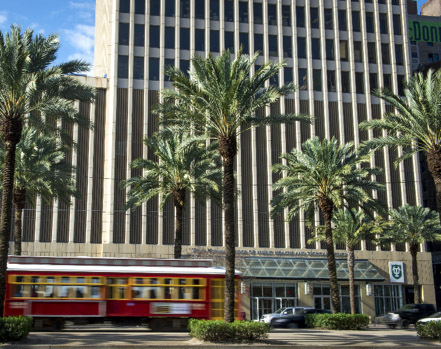 The Tulane University Translational Science Institute aims to improve the health of individuals and the public by promoting and conducting rigorous and multidisciplinary clinical and translational research; developing and fostering the next-generation of leaders and investigators in clinical and translational science; and disseminating and implementing evidence-based clinical guidelines and public health policies in clinics and communities. The Tulane University Translational Science Institute (TUTSI) was established in 2016 with the help of Centers of Biomedical Research Excellence (COBRE) award from the National Institute of General Medical Sciences (NIGMS). The COBRE program builds research capacities in states that historically have had low levels of NIH funding by supporting basic, clinical and translational research; faculty development; and infrastructure improvements. TUTSI provides an academic home for investigators with an interest in clinical, translational, and implementation research. In addition, the institute provides mentorship, research funding, and infrastructure to promising junior faculty and help them to develop a successful career in clinical and translational research, with the aim of significantly expanding our capability in clinical and translational research and increasing the number of clinical investigators, NIH peer-reviewed research grants, and high-impact scientific publications. Prof. Jiang He MD, PhD is the founding Director of TUTSI. In the summer of 2018, TUTSI joined with the Tennessee Clinical and Translational Science Institute at the University of Tennessee Health Science Center and the Mississippi Clinical Research and Trials Center at the University of Mississippi Medical Center to form the Delta Clinical and Translational Science Consortium (DCTSC), a new research consortium addressing important health issues that disproportionately affect underserved and rural populations in the Mississippi Delta region. 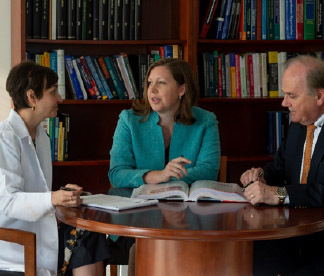 The DCTSC is established based on a long history of collaboration between our universities; complementary expertise and experience of faculty and staff and strengths of each institution’s research Infrastructures; and a shared objective to promote and support high-quality, interdisciplinary, team-based clinical and translational research aimed at improving health outcomes and eliminating health disparities. What is Clinical, Translational, and Implementation Research? 1. Patient-oriented research which conducted with human subjects (or on material of human origin such as tissues, specimens, and cognitive phenomena) for which investigator(s) directly interacts with human subjects. It includes: (a) mechanisms of human disease, (b) therapeutic interventions, (c) clinical trials, or (d) development of new technologies. 2. Epidemiological and behavioral studies. 3. Outcomes research and health services research. Translational research is the field of investigation focused on understanding the scientific and operational principles underlying the process of turning observations in the laboratory, clinic and community into interventions that improve the health of individuals and the public — from diagnostics and therapeutics to medical procedures and behavioral changes.